Is this another 2008 for the stock market? The calendar may say 2016. But some investors are starting to worry that it could be another 2008. Stocks around the world plunged again on Thursday. The market volatility in China has raised concerns that a new financial crisis may be just around the corner. Billionaire investor George Soros sounded the 2008 alarm bells Thursday. "China has a major adjustment problem. I would say it amounts to a crisis. When I look at the financial markets there is a serious challenge which reminds me of the crisis we had in 2008," Soros said in a speech in Sri Lanka. His remarks were originally reported by Bloomberg and confirmed by a Soros spokesman. Is Soros on to something? 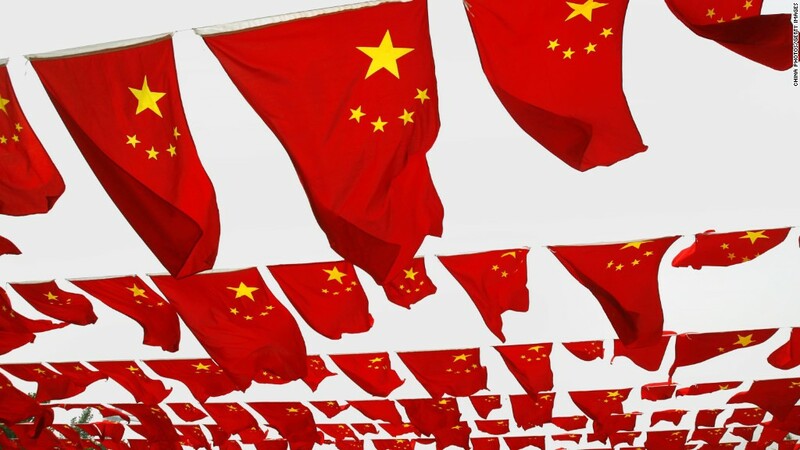 China's economic weakness could have even nastier ripple effects on the global economy and financial markets than it has already. We've seen what concerns about slowing China demand have done to oil and other commodities. And if the continued devaluation of China's yuan leads to an outright currency war, that could be truly scary. But other market experts think comparisons to 2008 are way overdone. "I don't think China is going to implode," said Jeffrey Saut, chief investment strategist for Raymond James. He adds that there is little risk of contagion now since banks have cleaned up their balance sheets after the credit crisis eight years ago. So far, investors are simply worrying about the same risks that have been known concerns for the past year. It's no secret that China's economy is slowing as it shifts to a more consumer-led economy. "There is a risk of overreacting. China's transition from an exporter and factory to the world to an economy that's driven by domestic demand is well known," said Nicholas Yeo, head of Chinese equities at Aberdeen Asset Management. And the collapse in commodity prices has been going on for awhile too. In order for the current selloff to mushroom into a real bear market, another proverbial shoe would have to drop. Lisa Kopp, head of traditional investments at U.S. Bank Wealth Management, doesn't see that happening. "There isn't really some new structural smoking gun for the economy and markets like mortgages were back in 2008," Kopp said. In some respects, China's market woes are actually being exacerbated by the Chinese government trying too hard to fix what's clearly broken. The new circuit breakers didn't work. But at least it is doing something. Kristina Hooper, U.S. investment strategist for Allianz Global Investors, said that one of the main reasons that things got so bad eight years ago was that U.S. regulators were too late to realize how messed up the banking system was. "In 2008, you can argue there wasn't as much U.S. government involvement as there should have been. Bad mortgages were allowed to snowball," she said. "What's happening today is cause for caution ... but not for panic." Caution is the operative word. Even if China does not lead to a major market pullback, that doesn't mean stocks are about to shoot drastically higher. This bull market will celebrate its seventh anniversary in early March. That's a long time for stocks to rally. It may be tough for the market to keep climbing, particularly if the Federal Reserve is really intent on raising rates four times this year. Bob Landry, portfolio manager with USAA Investments Solutions, said the U.S. economy is still fragile and may not be strong enough yet to handle multiple rate hikes. "The Fed may need to tone down its interest rate rhetoric to calm the market," Landry said. "It wouldn't surprise me to see stocks go down this year, especially if economic growth in the United States is tepid." Still, many of my followers on Twitter don't seem too concerned about a bear market. I asked if they thought this year would be another 2008 for the markets and the majority said no. Is the market headed for another year like 2008? Go to Twitter and vote "Lehman 2.0" if you think Michael Lewis needs to write a sequel to "The Big Short." And pick "This too shall pass" if you're now hunting for stock bargains.